B83 Power King (HI-POWER II) INDUSTRIAL V-BELT. 86" Length, 0.66" Wide. 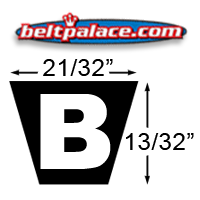 B83 V-BELTS: B Section. 86" Length, 0.66" Wide. 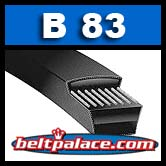 Industrial V-Belt "B-83". Suitable for all industrial applications, including v-flat drives.